Outstanding stopping power at a greay price! Nice clean fit for my Dura Ace brakes. Much improved stopping power! I work on a lot of bikes, for myself and also for family and friends. I'm a big fan of Kool Stop brake pads. 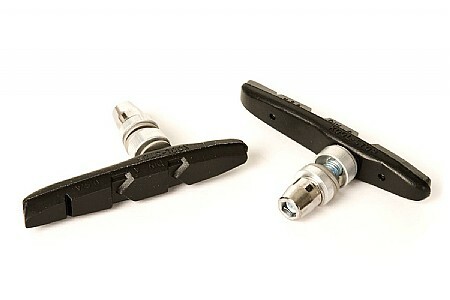 The thinline pads are designed for v-brakes, but work very well for classic caliper brakes on tight, classic frames. Personally, I prefer the salmon compound as I feel they stop better in wet weather. Also, not quite as messy on aluminum rims in wet weather. Can't beat the salmon color for stopping in wet conditions. The thin profile allows for extra room for mud clearance especially for V brakes.